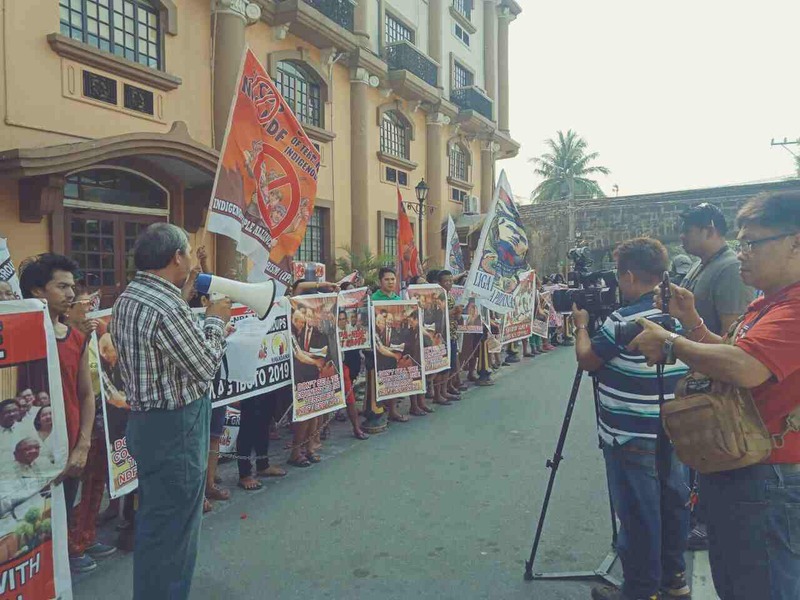 MANILA -- A peace advocacy group on Friday called on the national government to take control of the discussion regarding peace agreements with local communists. "Ang GRP (Government of the Republic of the Philippines) panel ang may matibay na posisyon to negotiate on a superior strength. Tayo ang lehitimong republika (The GRP panel has the stronger position to negotiate on a superior strength. We are the legitimate republic)," La Independecia spokesperson Ka Mario Laudades said . The group, whose members are former rebels turned peace advocates, staged a rally in front of the central office of the Department of Labor and Employment in Manila to show their support for President Rodrigo Duterte's localized peace negotiations with the communist group. "Positibo ang magiging pagtanggap ng regional commands ng CPP/NPA (New People's Army) sa ganitong mungkahi dahil nagsimula ang rebelyon dahil sa lokal na kapabayaan (This [localized peace talks] would be positively received by the regional commands of the CPP-NPA because the rebellion started with the neglect in the local level) ," said Laudades, who is also an indigenous people (IP) leader from Ifugao and former communist cadre. Laudades said President Duterte has long recognized that the insurgency in the country would not be solved by military solution but with a holistic program that would address the concerns of the communities and pushes for the genuine development in the countryside. Laudades added that the lawyer of the rebels, Fidel Agcaoli, has always wanted to hold exploratory talks in a foreign land.